With its rugged green cliffs, waterfalls, sea caves, and remote white sandy beaches, the Na Pali Coast is arguably one of the most beautiful coastlines in the world. Perhaps one of the most adventurous ways to soak in the 17 miles of stunning scenery is by kayak. In fact in the March/April 2000 issue of National Geographic’s Adventure magazine, it rated America’s top 100 adventure trips and kayaking the Na Pali coast was rated the second best adventure. (Rafting the Colorado River at the Grand Canyon was number one.) That’s a hefty adventure endorsement! 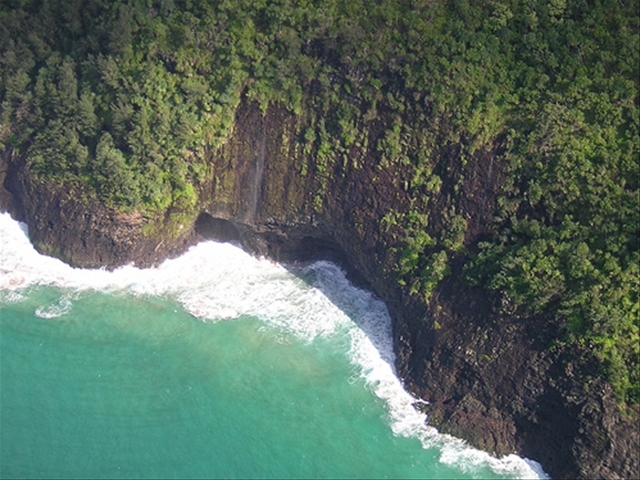 If you are interested in kayaking the Na Pali Coast, now is the time to do it. The water is usually calm enough from late-May through mid-September. If you are experienced at sea kayaking, you can rent a kayak and go at your own pace including a night of camping. Even if you are an experienced kayaker, be aware that this trip is often called the “Mount Everest of Sea Kayaking”. The average tourist is most likely not going to be an experienced kayaker and if you fall into that category, don’t worry, there are guided day tours. The tours cost around $200 plus taxes, fees, and gratuity. The tour companies provide you with the equipment, lunch, and expert guidance. Before you book, make sure that you find out if the guides are sanctioned by the State and if they carry safety gear like flares and radios. Also, if possible try to stop by the tour company’s office and take a look at the equipment and see if you can to gauge the attitude of the company personnel. If you have a happy guide, you are more likely to enjoy your tour. The kayaks launch from the North Shore and travel from North to South, one way only. (Thank goodness you don’t have to paddle back!) Your tour company will provide transportation back to the company store at the end of the tour. Since the tour takes all day, the tours generally start around 6 a.m. One suggestion in choosing a tour company is the convenience to your hotel. For example, if you are staying on the North shore, it would be more practical to choose a company out of the North Shore. Do I need to be an experienced kayaker and/or ironman competitor in order to kayak the Na Pali coast? You don’t have to be a great swimmer, but you do need to be able to swim and be comfortable in the water. You will be wearing a life vest. Is it likely that I will fall out of the kayak? If you are intrigued about kayaking the Na Pali coast, I’d encourage you to read this interesting National Geographic Adventure magazine article by Todd A. Vines. Mahalo to Amy at Outfitters Kauai, Ltd and to Micco Godinez of Kayak Kauai for their expert advice! I’m glad you enjoyed the article and found inspiration from it. Let us know when you go and how you liked it. where is the best place to kayak in late feb / early march? Denny– you can kayak Kauai’s rivers year round. We have kayaked the Wailua River – https://www.govisithawaii.com/2010/11/30/kauais-secretsacred-falls-kayak-hike/ It was a great experience!